Published on Monday, December 29, 2014. 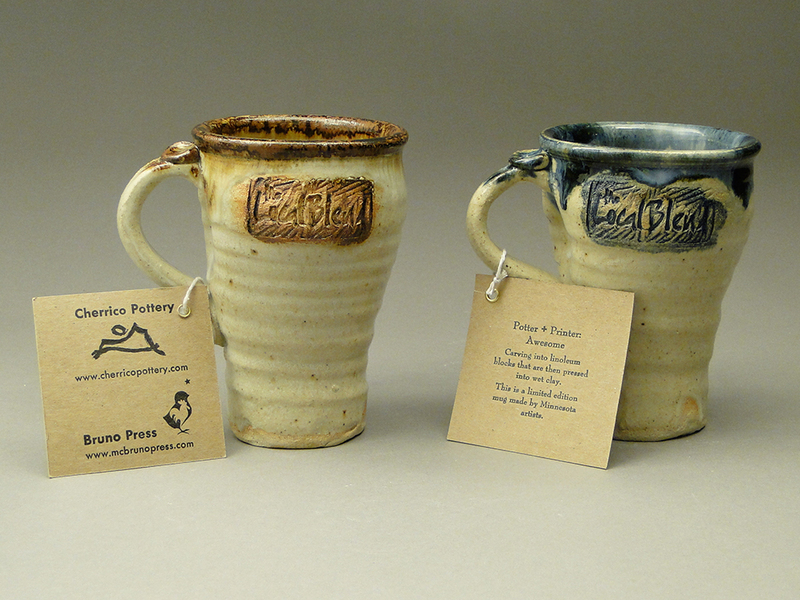 Stamped coffee mugs, a collaboration with Bruno Press. Every potter I've ever met has had a burning desire to make new pots. We invest massive effort into learning proper techniques and finding good clays, glazes, and kilns. We find places for finished pots to live and make piles of broken shards. The problem with making new pottery is that it usually requires spending money. 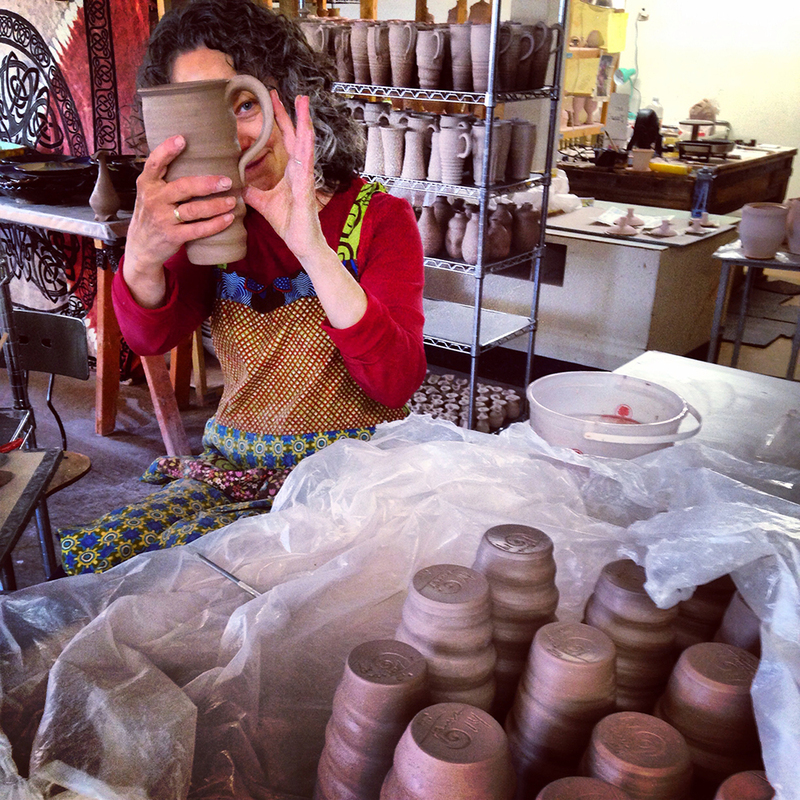 To support our art, potters do things like sell pots, teach classes, write grants, and get jobs. How can potters overcome the burdens of money and spend more time making pottery? As a small business owner, I can only offer advice about selling pots. This blog post gives clues to how I sold more than $100,000 in pottery over the past four years and offers insights into other successful potteries. 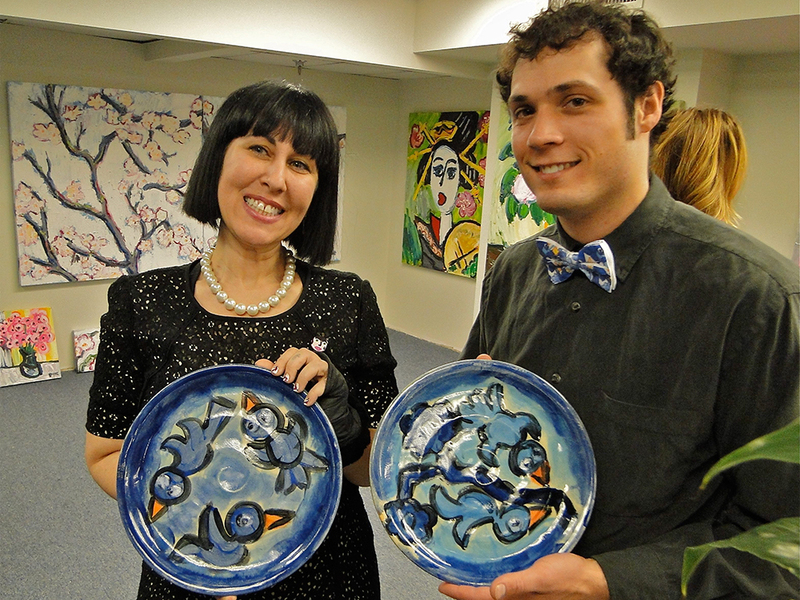 “I love my gallery work – and it still sells, but ceramic tiles really pay the bills. And I still do work on the tile side of the business too. I’ve found that if you have cash flow, you can do anything.” Chris Gustin gave me this advice during the 2014 NCECA [National Council on Education for the Ceramic Arts] conference in Milwaukee. I shot a photo of Gustin proudly standing next to three of his large vessels in the Milwaukee Art Museum during an exhibition coincidentally titled "Flow." I believe there is power in getting information verbally – directly from someone – intangible power that can't be translated through media. While Gustin looks thrilled at seeing his sculptural vessels in a museum, our conversation revealed that most cash flow came from his tile business. Also at this year's NCECA, I met potter Ayumi Horie, regarded by fellow potters as a social media queen and arguably the most successful online pottery seller in our field. I don't have an inspiring quote to share, but I have begun to reap the rewards of emulating her online business model, which focuses heavily on a fully hosted online store and writing for national publications. It's an amazing feeling to safely receive money online and ship boxes of pottery nationally, as well as to Thailand, Germany, and a full pallet to Saudi Arabia. Last summer, I drove to Prairie Fire Pottery to collect more first-hand knowledge from a thriving business, while working as a production pottery thrower. Tama Smith and her husband, Jerry, built a successful pottery jewel in the small town of Beach, North Dakota. Long before the recent oil and gas boom, they attracted customers from the three million annual travelers flowing along Interstate 94 by using billboards to draw people to their pottery like a magnet. Tama and I collaborated on pottery while discussing environmentalism, business, and copper red glazes. Nine days and more than 500 pots later, I returned to Minnesota with a wealth of knowledge, as well as a higher wage payment than my friends who worked in Bismarck's oil industry. The profit let me purchase a gorgeous, 20-year-old Karatsu pottery wheel from my former college professor, Samuel Johnson, uniting historical and contemporary practices in my work. 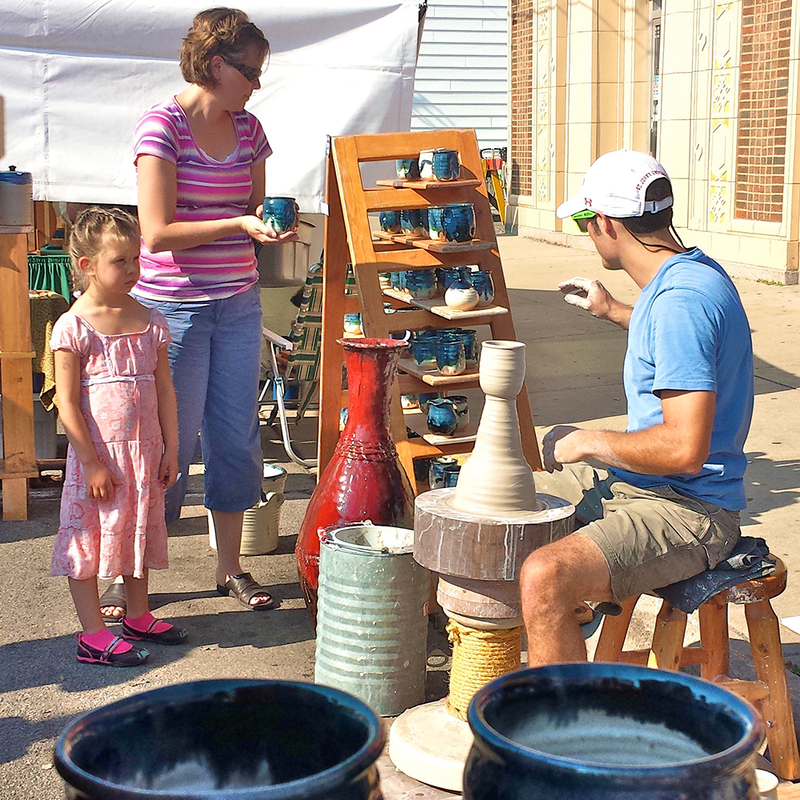 Selling face-to-face at art festivals also generated strong cash flow. These shows let me develop business systems that worked efficiently, like well-oiled machines. 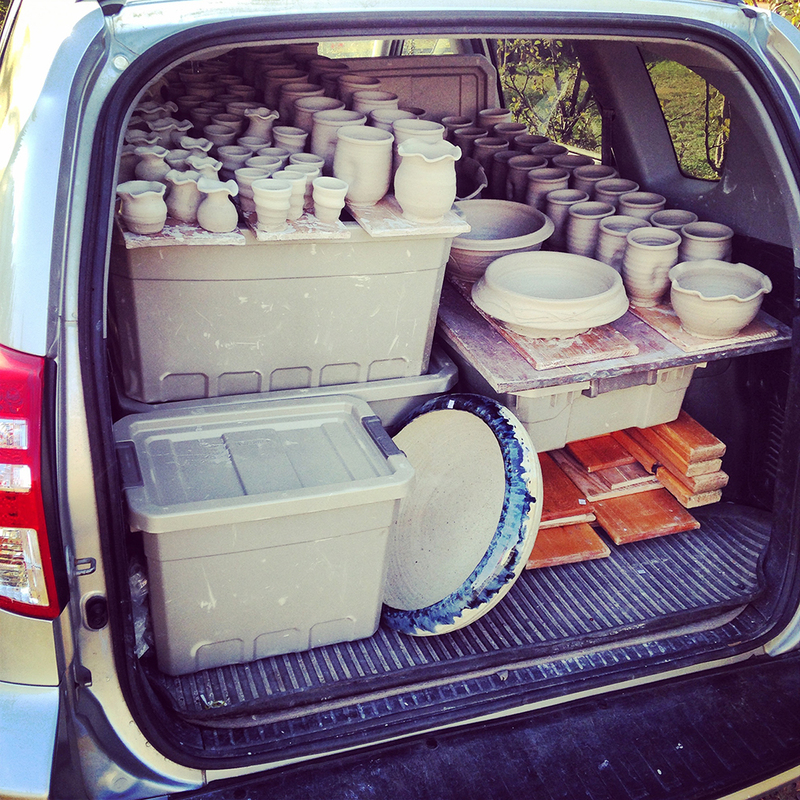 I consistently generated $1,000 to $2,000 in pottery sales over one- to two-day shows, while throwing about 100 new pots and transporting them home to be fired. Collaborating with a local printmaker, Mary Bruno of Bruno Press, let me make custom text on my best selling pottery: coffee mugs. Delivering minimum batches of 50 custom mugs to restaurants and coffee shops gave me immediate cash flow, because Mary and I utilized a wholesale business model. It was reassuring to know that one wholesale order could cover one month's rent in a pinch. Short-term cash flow is important because it lets potters make long-term investments. Without cash from Prairie Fire Pottery, I would not have been able to buy the Karatsu wheel, which will last a lifetime. 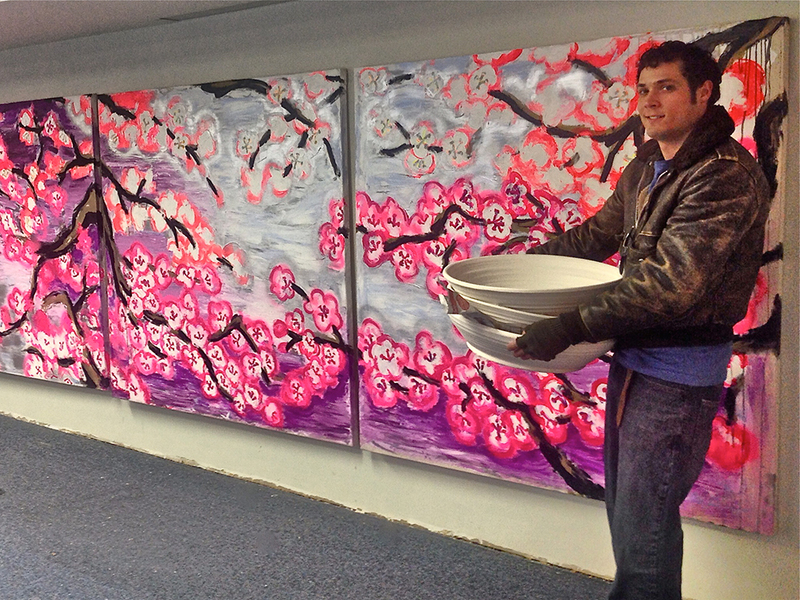 Without cash from art festivals, I could not have delivered huge, porcelain platters for artist Paige Dansinger to paint at her gallery in the heart of Minneapolis. Paige and I did not generate cash flow, but our collaboration fulfilled our burning desires to make challenging, new art. We remain confident in our long-term investments, optimistically exhibiting amid the skyscrapers of downtown Minneapolis, while finding other ways to pay bills. Six figures in pottery sales sounds like a lot of money, but it required years of living on less than minimum wage. Fortunately, months spent selling pots at local farmers' markets provided plenty of coffee mug trades for bread and T-bone steaks, allowing me to decline using food stamps. Liquid motivation from the Local Blend coffee shop also fueled my business with a steady flow of both cash and caffeine. This coffee shop in downtown St. Joseph, the town where I live and work, is the cornerstone of my career. Our collaboration was in my original business plan in 2010. One month ago, they wrote me the largest commission check yet. Stay tuned for the upcoming part seven post, where I will describe in detail how this single location has consistently contributed to about 25 percent of my livelihood throughout the life and growth of my business. 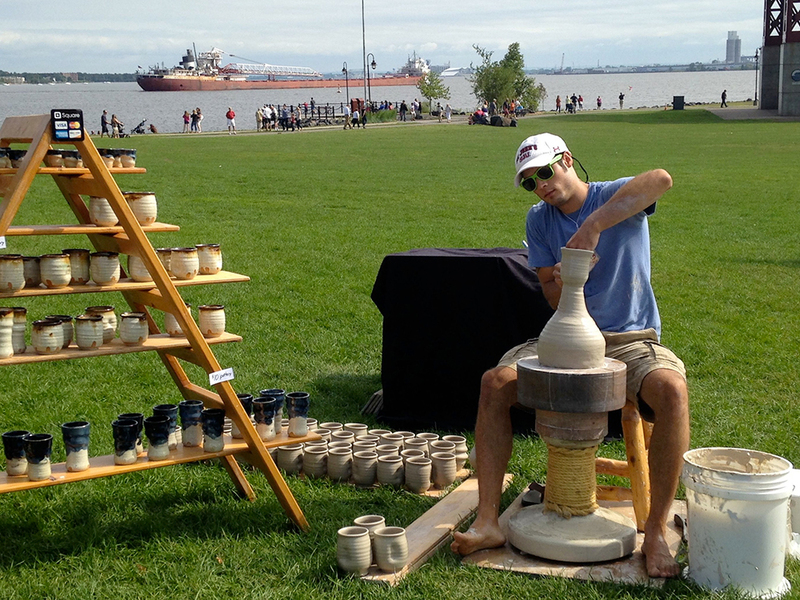 Joel demonstrating and selling pottery at Art in Bayfront Park in Duluth, Minnesota, in 2014. Joel's system for attending art festivals, while retaining the ability to transport freshly throwing pottery back to his studio for firing. 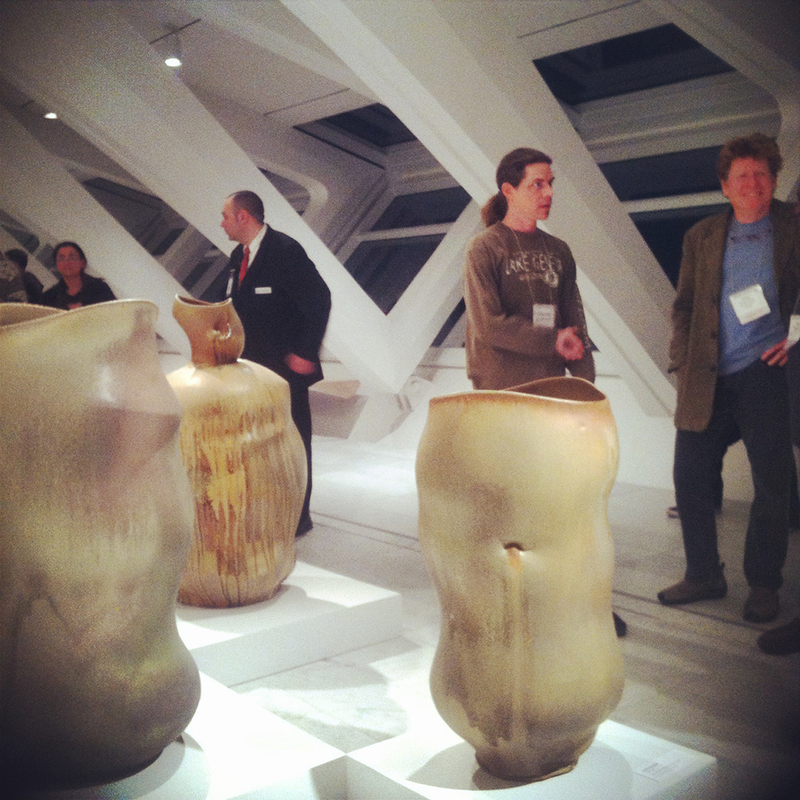 Chris Gustin smiling next to his sculptural vessels during the "Flow" exhibition at the Milwaukee Art Museum in 2014. 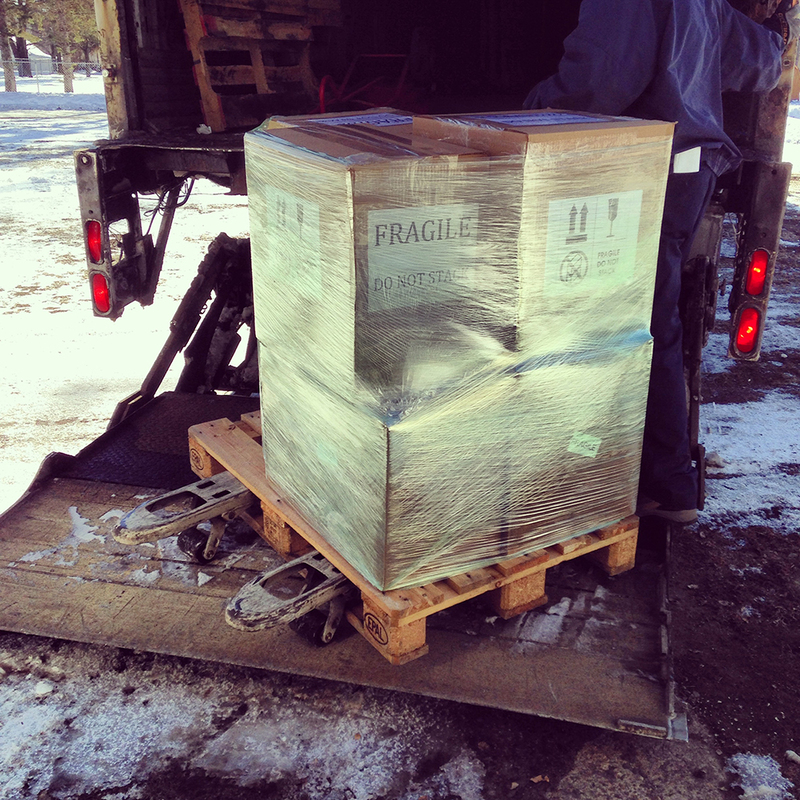 A pallet holding 30 of Joel's pots, packaged and loaded onto a lift-gate for shipment via UPS International Air Freight. This customer from Riyadh, Saudi Arabia, purchased pottery through Joel's online store. Tama Smith of Prairie Fire Pottery pulling handles for travel mug bodies thrown by Joel. 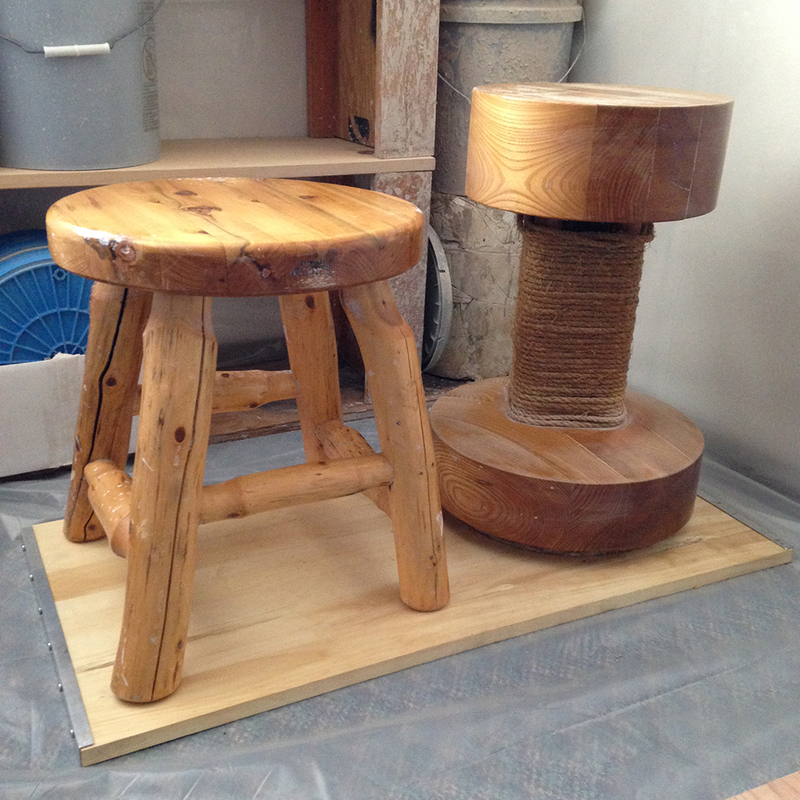 A 20-year-old, Karatsu-style pottery wheel made from maple with a bench made from white cedar.